Parrot has been updating its AR.Drone every year at CES, but this year Parrot has taken a twist and announced two new products, the MiniDrone and the Jumping Sumo. The MiniDrone is a smaller version of the AR.Drone which is exceptionally light and user-friendly thanks to on board sensors that make the device very easy to control via an iPhone or iPad using Bluetooth LE. 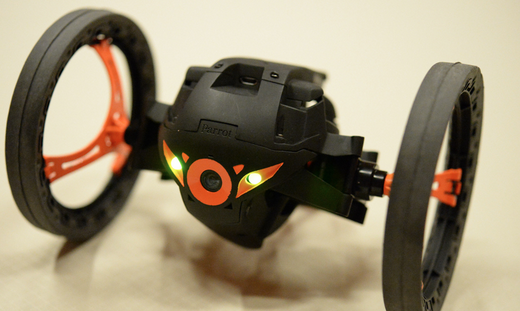 The coolest part of the MiniDrone is the removable wheels, which allows you to drive the device across the ceiling and even down walls. Both devices from Parrot use 2.4 or 5GHz Wi-Fi, with the additional option to use 802.11ac, for greater range. 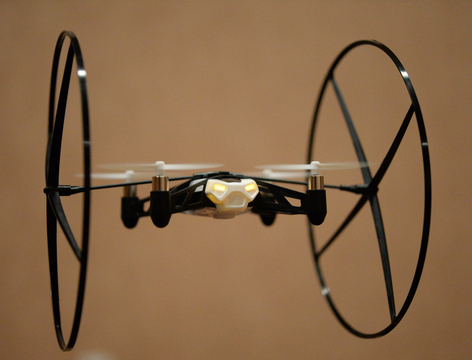 The Jumping Sumo and MiniDrone will be available to purchase in 2014 for an as-of-yet undetermined price.